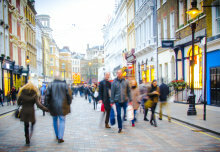 The new study, including researchers from Imperial College London, showed that these events, though small, were fast enough to hurl particles towards the Earth’s upper atmosphere. Here the particles create the auroras, but can also create geomagnetic storms, which can disrupt communications systems on the surface and satellites in space. 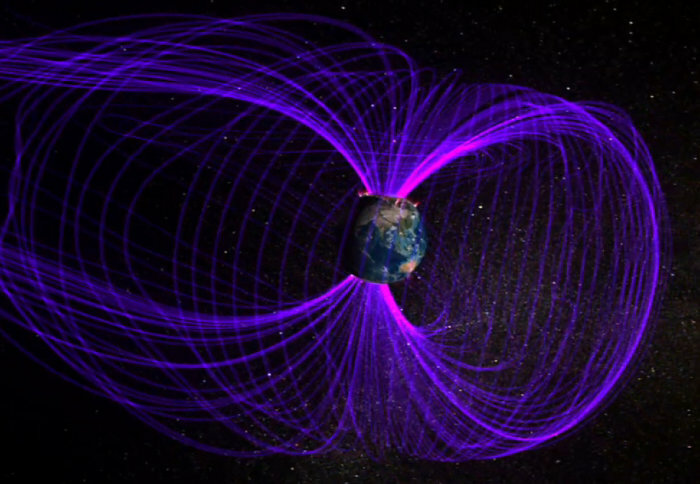 The Earth is surrounded by a magnetic bubble called the magnetosphere, which protects us from harmful radiation from space. The magnetosphere is defined by magnetic field lines, stretching out into space from the Earth. When magnetic field lines twist and reconnect, an explosive process called magnetic reconnection occurs. The process throws out hot jets of particles, allowing them to cross boundaries normally created by the field lines and travel towards the Earth. 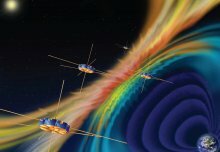 NASA’s Magnetospheric Multiscale mission, or MMS, has previously flown through magnetic reconnection events on the ‘dayside’ of the Earth – where the stream of charged particles from the Sun interacts with the Earth’s magnetosphere. Now, for the first time, the MMS mission has flown through a magnetic reconnection event in the ‘magnetotail’ – the region of the magnetosphere stretching out into space behind Earth, on the opposite side to the Sun. The results are published today in the journal Science. Animation of MMS flying through the magnetotail region of the Earth's magnetosphere. On the dayside of Earth, magnetic reconnection was found to fling out particles asymmetrically, as the Sun’s and Earth’s unequal magnetic field lines push against each other. However, in the magnetotail the event watched by MMS was found to fling out particles symmetrically, as the process is the result of two of Earth’s magnetic field lines connecting. Magnetic reconnection converts the magnetic energy of the field lines into fast jets of particles but also other forms of energy, such as high temperatures. The team will next analyse this reconnection process in more detail, to discover how the energy is divided up between the different forms. Magnetic reconnection also happens on the Sun and across the universe, so learning about it around Earth also helps us understand reconnection in faraway places where it’s impossible to measure directly. The more we understand about different types of magnetic reconnection, the more we can piece together what such explosions might look like elsewhere, and how we can better prepare for extreme events here on Earth. ‘Electron-Scale Dynamics of the Diffusion Region during Symmetric Magnetic Reconnection in Space’ by R. B. Torbert et al. 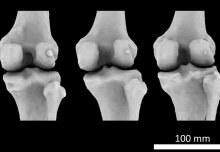 is published in Science. Read the Open Access version.